androidgogy – Page 3 – Thoughts on helping people help themselves succeed. Some coincidental connections between thoughts. I may have mentioned somewhere that I was active duty USCG for a decade or so, a decade or so ago. If I hadn’t, I have now. Active duty members of the U.S. Coast Guard get the opportunity to take on jobs like boarding team member (BTM) or boarding officer (BO). While qualifying as a BTM or BO, you become intimately familiar with law enforcement concepts like the use of force, authority and jurisdiction. One of the common tenets of use of force is only apply the minimum force necessary to compel compliance. That means you don’t use a take-down or baton when a professional tone will get the job done. Even when not considering compliance as the goal, this concept be useful when designing instruction performance solutions and experiences that support learning. This is the visualization of an idea that’s been in my head for awhile. It stands as a rationalization against the pursuit of instructional perfection. This rationalization assumes that learning is a function of the learner and instructional perfection is a futile goal. In my view, attempting to design for perfect skill mastery can actually defeat or smother the natural learning process. I’m pretty sure this concept isn’t an original idea. Think about a concentric circle with two separate borders. The first border at the center of the circle is skill mastery. This is the zone representing the skill level of people that have have been practicing for a significant period of time and have ascended through the ranks of apprentice and journeyman. The master of a craft has typically poured more into their own development than the average performer. The master has pursued mastery and has probably reached this level of mastery with the careful and loving assistance of a master of the craft. The second border on the outside is the skill range. This defines the minimum level a performer would need to reach in order to “figure it out” and succeed in a task or set of tasks that require the same skill. 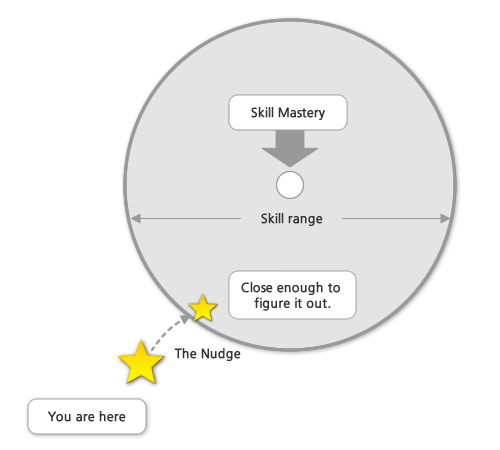 This concept assumes that skill mastery is rarely required for accomplishment but does NOT exclude skill mastery as a target when pursued by the performer. Imagine a booming emphasis on “pursued by the performer” voiced by James Earl Jones. I don’t believe skill mastery is driven from the outside. People only reach mastery when they really want to. Never by accident. The idea here is to design solutions to provide just the right nudge at just the right moment to place folks within range of successful accomplishment. Given the right environment, people can be remarkably adept at figuring things out. If we rob learners of the opportunity to “figure it out”, we risk missing the mark entirely and increase the probability that learning won’t stick or the type of learning that takes place won’t connect in the way we, or more importantly the learner, needs it to. To me, instruction performance solutions and experiences that support learning should be designed as a nudge to help the performer learn just enough to get within range of the next thing or success in the task at hand. 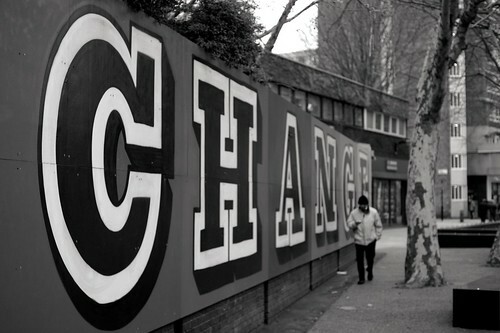 Nudge, get out of the way and be ready to give another nudge in a right moment. Job aids and performance support can serve as perfect nudges — getting out of the way when needed and appearing at just the right moment at the request of the performer. Maybe we can spend more time building for just the right nudge in the right moment and less time building over-engineered content packages? Instructional perfection is a unicorn. A mythical creature. The effort expended to reach it is not only wasteful but probably defeats your design purpose. Design for nudges and watch deliberately from a distance. Time spent connecting your learners with just what they need, even when that need is another journeyman or master to help guide them, is time well spent. Your learners will excel until they need another nudge and since they used their own natural learning process to move through the skill range, it’ll be far more indelible (they’ll remember the experience). This doesn’t mean a designer is completely hands-off — it merely means you need to treat your audience as capable learning machines. Because… they are. In the business of L&D, we tend to beat folks into submission with information. We should really ask ourselves, what’s the minimum force I need apply to compel the desired outcome. We need to be prepared to stop there and stay out of the way. We aren’t the source of learning magic. They are. 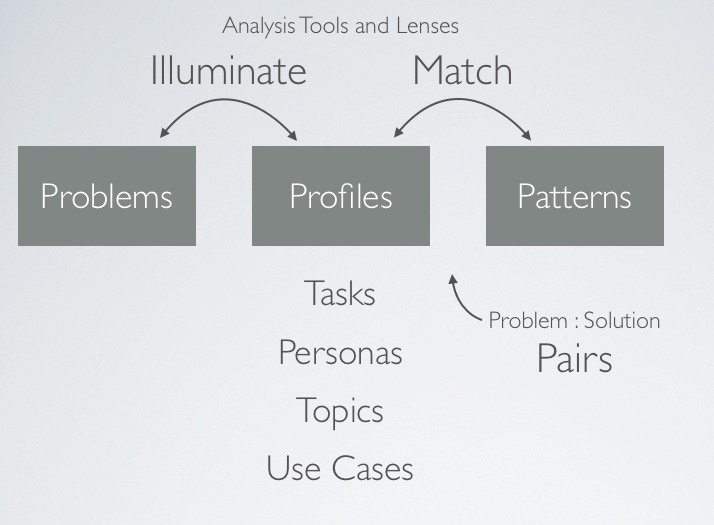 Most folks in the digital performance solutions industry (e-learning and the like) probably agree that the biggest skewed perspective in solution design and implementation is the disproportionate priority placed on information in the solution equation. Distribution of information almost always seems to take a higher priority than tangible outcomes. At the very least transmission of information (not receipt, mind you) is thought to be roughly equivalent to outcome. Box checked, game won. Game over. Next problem. Right? It’s hard to narrow down to five books that I would recommend to others. There are so many great references. These are what I have at my fingertips at the moment. Continue reading What’s on your bookshelf? Posted on April 5, 2012 May 10, 2012 Categories Uncategorized10 Comments on What’s on your bookshelf? In a slight deviation from the format established last week, I offer small set of hand action cursors with a touch of Wii style. These were built a few years ago. I’ve used three of the four in a few different applications. I’ll let you guess which three. Use them as you will. I’ve included each of these icons as a separate file. Each of these files contains three different sized PNGs (32×32, 64×64, and 128×128). Each of the files is also a Fireworks PNG and contains vector source shapes that can be modified. Hand Cursors by Steve Flowers is licensed under a Creative Commons Attribution-ShareAlike 3.0 Unported License.